My Teapot Fountain and Serena, both bring serenity to my place of rest. Now it's time to go and work on the next crop - planting broccoli and carrots today. Christmas this year is over shadowed by our need to save up for some travel plans, so I was delighted to receive this small collection of reading and viewing gifts. Somehow, all linked to my dreams and goals for 2009/10. The White Tiger, is a story about an Indian fellow from Bangalore, while a Booker Prize Winner, my partner gave it to me because I'm going back to India in Sept 09 and I love learning more about India, her heritage, demographics, and culture. My friend has done a nice review of the storyline, and as I haven't finished it yet, I recommend Bookbath for more info. 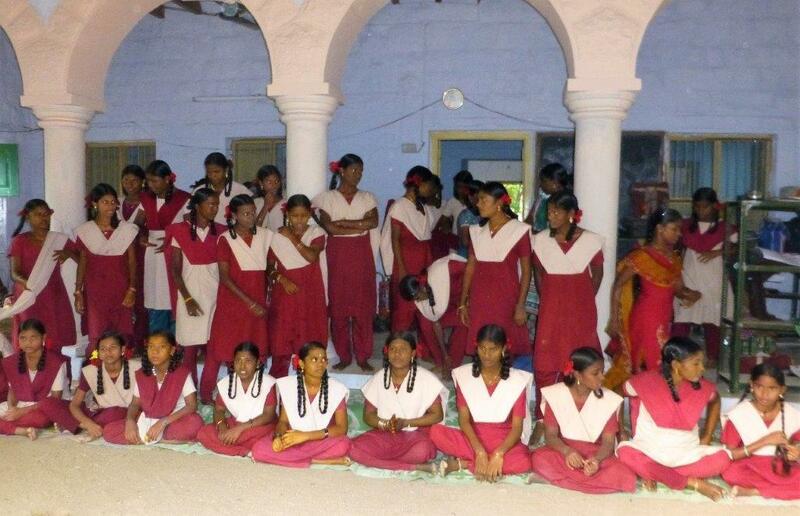 When I return to India, I will be volunteering in a school for girls and working with Women through self help groups in Tamil Nadu. Isn't she beautiful? 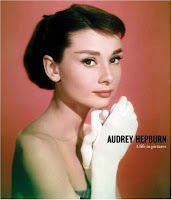 I'm going to really enjoy this new picture book, Audrey Hepburn: A life in pictures. So often my life is more practical than pretty, I have my finger nails filled with dirt from the garden, and my house is shared with dogs and Mr fix-it with his bits'n'pieces lying around. Taking time to disappear with Audrey will be a wonderful form of escape. Which I can also do while watching my now growing colelction of DVD's. New to the collection is Now, my thing for French is showing up in my gifts - Audrey and Paris - wow.... My final bookish christmas gift was the latest version of Residences Decoration - a magazine in french. France 2010, here we come!. I got two other very me gifts, while not bookish, in the same themes.. 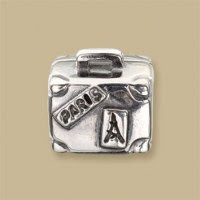 I got a silver Pandora Charm to encourage me in my dreams to return to Paris, and I received the honourable gift of an 'extremely useful gift' of Human Rights. My family have the tradition of drawing a name out of the hat and only having to buy a gift for one adult. My gift giver made a generous donation towards a human rights cause for my christmas gift, which I truly value as one of my most treasured gifts this year. Thanks. 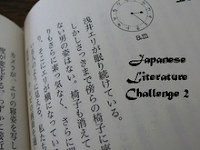 I appear to have turned the Japanese Reading Challenge No 2 into a Murakami challenge - I've really enjoyed this opportunity to be consumed by the author. I have just finished reading Sputnik Sweetheart and am finishing off Underground. Sputnik is the name of the man made satellite that took a dog into space, but it came to be the nickname of the characters lover as a result of a confusion in a conversation. As I reflected further on the title of the book, I could see that Murakami had used it to reflect something deeper. 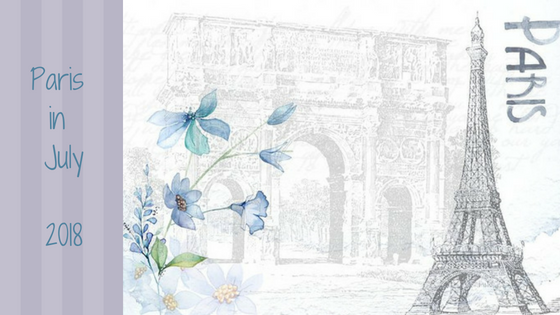 The main character, Sumire, has fallen in love with an older married woman, her sputnik sweetheart. But as the story spins around Sumire, her adored sputnik, and K (the story teller and man in love with Sumire) it becomes evident that they are all spinning in orbit, perhaps like the dog in Sputnik, starring out to space wondering what's going on. Murakami has kept me spell bound while I follow the tales of these three characters through some bizzare experiences. Again, I see a depth to his analogies which is beyond the storyline. Sumire's 'sputnik sweetheart' has had a traumatic out of body experience that turns her hair white, Sumire disappears off the face of the earth, while K is left to carry on the mundane life of a teacher. If I were to reflect on my life, there would large chunks of time where I may as well have disappeared from all place, yet I have returned with new personal insights and convictions. There have been many times in my life, when I have been to one who, like K, seems to be the grounded one, called on to help and continue the mundane while others are in shock, grief or lost. Again I have really enjoyed Murakami's ability to take me away, and deliver me to a place where I can see what's happening. More soon on Underground. It's been a month since my last blog, I did not loose interest or motivation for blogging, I simply took some opportunities to grow myself and others, which prevented me from sitting at a computer. I have saved up a few things I need to blog about. Firstly Earthworks Retreat, then later today I will return to report on my Japanese Reading Challenge progress, and the Banana. Earthworks is a 2 1/2 day retreat which draws on the principles of Joanna Macy's work she titles 'the work that reconnects'. Thich Naht Hanh said 'the most important thing people can do to help change the world is to listen to the sounds of the Earth crying.' Through the Earthworks retreat, participants are encouraged to learn about the earth, our relationship with aspects of the earth through past, present and future, and to listen for opportunities to be involved in change. This is the 3rd time I've done this retreat and each time I learn more about myself, my relationships with others and the earth and my own spirituality. The retreat is located at an old convent which was built by nuns in the 70's from mudbricks and pre-loved building materials. It's just a 'divine' setting for reflection and long periods of silence. Also works great for the saturday night sing along. I find that I rarely allow for there to be long periods of silence in my life, but this year specifically, I was in deep need of the time to just sit and listen. I loved the session where we were sent to find somewhere on the property (mostly bush) and listen to what surrounded us. I thought I was sitting under a tree to listen to birds, but strangely I ended up listening to ants.... weird, but significant. Time out of business and the demands of the looming Christmas season, was a truly and blessed opportunity for me to remember the real meaning of Christmas, and what my relationship to Christmas is. Contribute to change - somewhere, sometime.